It’s a win for Zoom at the UC Today Awards! At Zoom, we’re all about making our customers happy. We hope our customers see that in how we incorporate your feedback and suggestions and weave your needs into our solutions. In fact, happiness is core to our DNA, and it filters between our customers, our teams and our partners. Judging by the feedback we get, we are pretty sure we’re on the right track but it’s great to get an independent endorsement of our efforts. 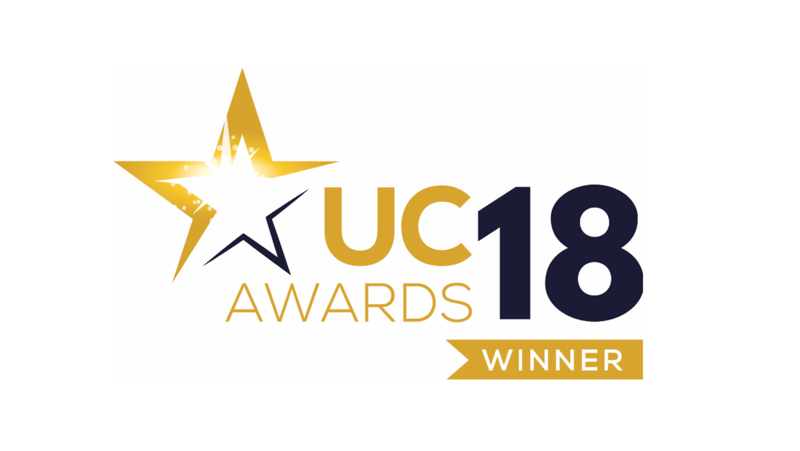 This has just come in the form of a fantastic award from UC Today, the leading Unified Communications and Collaboration publication, incorporating Contact Centre, Video Conferencing, Endpoints and Emerging Technologies. Up against competitor solutions, UC Today’s respected editorial team and judging panel voted Zoom the Best Meeting Room Solution. The judging panel were particularly impressed with how Zoom Rooms, Zoom’s software-based video conference room solution, represents the pinnacle of what can be achieved with Zoom. If you’re not already familiar with it, Zoom Rooms features video and audio conferencing, wireless content sharing, and integrated calendaring. Running on off-the-shelf hardware, Zoom Rooms is the perfect solution for conference, huddle, and training rooms, as well as executive offices, clinics, and classrooms. Additionally, Zoom Rooms features digital signage for the workplace, a single tool for the modern office that addresses corporate communication, engagement, and internal marketing needs. Meanwhile, the Zoom Rooms Scheduling Display has been developed to end scheduling headaches with a beautiful interface that runs on iPad and Android tablets and enables you to see room availability, check in, and book a meeting. But that’s not all. Users can enhance their Zoom Rooms meeting experience with touch screens from various high-quality providers. These enable you to power up your team with Zoom meetings on collaborative devices featuring screen sharing, white boarding, and co-annotation. You can also enjoy native integrations with Crestron Mercury and Polycom Trio, which are mic, speaker, and controller all-in-one devices. Zoom Rooms is easy to deploy, easy to use and easy to manage in every space across an enterprise of any size. With all these benefits, you can see why the team at UC Today were impressed enough to make us an award winner, and we’d like to extend a big thank you to the judging panel! Needless to say, it motivates us further to keep on spreading the happiness.